The Vicks NyQuil brand applies to a variety of different preparations these days, and not all of them contain alcohol. Liquid formulations, for instance, include NyQuil Cold & Flu Nighttime Relief Liquid, Alcohol-free NyQuil Cold & Flu Nighttime Relief Liquid, NyQuil Cough Suppressant, NyQuil Severe Cold & Flu Nighttime Relief Liquid and the NyQuil/DayQuil Co-pack sold as one unit. Different NyQuil products have different active and inactive ingredients. When the NyQuil product contains alcohol, it is listed as an inactive ingredient, and the alcohol concentration is currently listed as 10 percent. Alcohol-free versions are available for each of these 3 products. Always consult the product labeling information for an accurate description of active and inactive ingredients, as products and constituents are subject to change. Avoid alcoholic drinks while taking this product. Do not give adult formulations to children. If pregnant or breast-feeding, ask a health professional before use. Consult the product label for appropriate dosing and precautions. In case of overdose, get medical help or contact a Poison Control Center right away. Be aware of medical conditions and medications that interact with NyQuil liquid formulations and talk to you doctor before taking them. Do not take if your are allergic or otherwise intolerant to any of the ingredients. ZzzQuil contains diphenhydramine as a sleep aid. 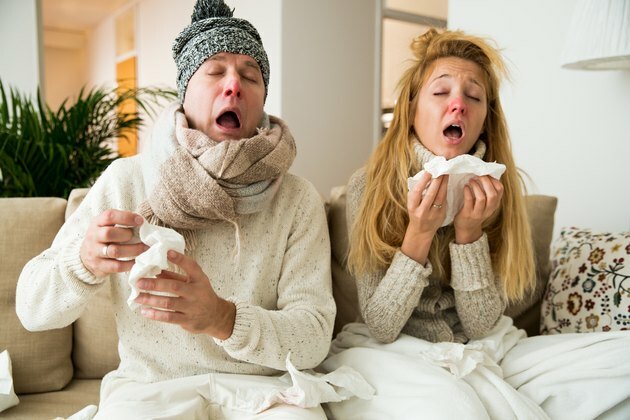 NyQuil Cold & Flu formulations contain the active ingredients, acetaminophen, dextromethorphan HBr, and doxylamine succinate. All of these active ingredients have potential side effects. It is important when taking NyQuil to keep in mind that alcohol is not the only ingredient that you need to watch out for. For NyQuil products that contain acetaminophen, severe liver damage may occur if you take more than the maximum daily amount, combine with other products containing acetaminophen, or are drinking 3 or more alcoholic drinks every day while using the product. In the United States, acetaminophen toxicity is the most common cause of acute liver failure and is the second most common cause of liver failure requiring transplantation. Always take as directed and do not combine with other products and medications without consulting a physician.